A Los Angeles man is accused of posing as a potential buyer at open houses later returned to break in and steal thousands of items. Patrick Healy reports for the NBC4 News at 11 a.m. on Wednesday Jan. 2, 2019. A man accused of posing as an interested home buyer at open houses, then returning to steal items in a series of burglaries at celebrity and high-end homes for sale in Los Angeles, has been arrested, police said Wednesday. An estimated 2,000 items, including jewelry and artwork, worth millions of dollars were seized during the investigation involving break-ins at luxury homes in the Hollywood area. The burglaries occurred in 2017 and 2018. Victims included celebrity homes belonging to singers Usher, Jason Derulo, Adam Lambert and others, LAPD Detective Jared Timmons said at a news conference on Wednesday. Detectives received a break in the case when they noticed the same person signing in to multiple open houses where the burglaries occurred. The suspect was identified as Benjamin Eitan Ackerman, 32, of Los Angeles. A search warrant was executed in September at the suspect's home in connection with the case. Detectives said items were recovered at the home and a storage unit. Ackerman was arrested at that time and released on $1 million bond. The suspect used the open houses as an opportunity to case his targets, posing as a potential buyer or realtor, police said. At one of the open houses, he asked about acquiring rare art work, the detective said. The stolen artwork included portraits of the Rolling Stones' Mick Jagger and another of actor-racing driver Paul Newman. "They believed that he was a buyer," said Timmons. "When he showed up, he was dressed to the nines. He acted the part. He was very slick." Police said the suspect was likely working with others and called the operation "sophisticated." "We're still investigating as to who he was working with and exactly how he would do that," Timmons said. "This person is very sophisticated. In a lot of these cases, we see tampered surveillance videos. We're still looking into that. As we said, open houses usually were the main source of that. However, we do have one case where he targeted a family friend, so nobody's off the table." Authorities are still trying to determine whether the burglaries in 2017 and 2018 are linked to a series of celebrity burglaries in which 13 reputed gang members have been charged, but "these victims appear to be separate," Timmons said. 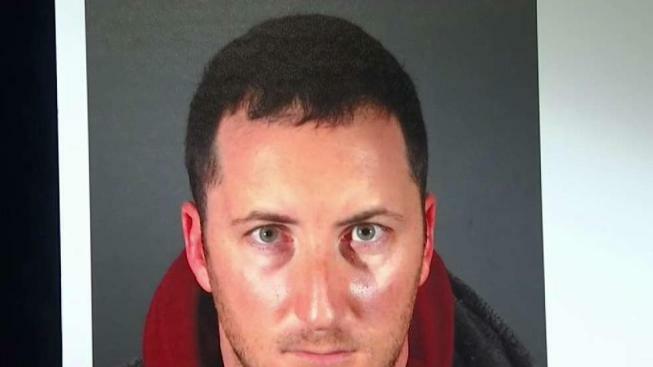 The Los Angeles County District Attorney's Office has not filed a case yet against Ackerman in connection with the burglaries, with the detective saying it is "still an ongoing investigation." Police posted images of the some of the stolen items here in hope of identifying other victims and returning property. It was not immediately clear whether the suspect has an attorney.